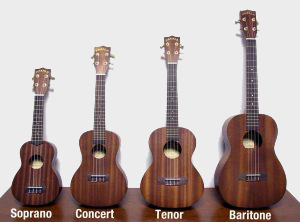 Why do Ukuleles come in different sizes? 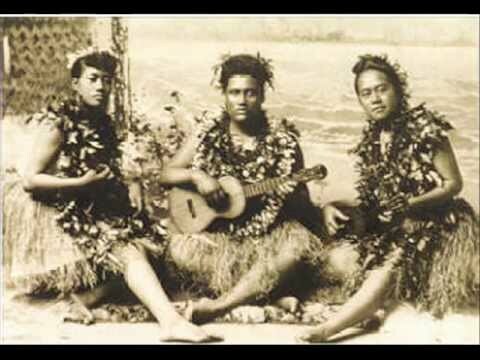 Ukuleles come in four basic sizes; Soprano, Concert, Tenor and Baritone. What seems obvious or maybe not is that with each different size comes a different sound. The Soprano ukulele is quieter and generally has a less robust tone than the larger sizes. This doesn’t mean soprano ukes sound bad, but they do tend to offer less bass, projection, and warmth. Concert and Tenor ukes are noticeably different than a soprano when it comes to playability and tone. They both have a longer ​scale than a soprano: 15″ for the concert and 17″ for the tenor. As a result, many people find concert and tenor ukes more comfortable to play than sopranos. In general, concert and tenor size ukes will have more bass, resonance, sustain, and volume. The Baritone is the largest of the four primary ukulele sizes. Aside from size, the big difference between a baritone and the other three sizes is tuning. A baritone ukulele is tuned D-G-B-E​ and a standard ukulele is tuned G-C-E-A. The baritone’s large size and lower tuning give it a deep, rich tone that’s unlike any other member of the uke family.